A baby’s first photos are a must to capture and normally high on every new mother’s priority list. However, the beauty and miracle of the pregnancy itself is often overlooked . Being pregnant is such a special time of your life. Come on your own for a special “mummy and baby” shoot or bring dad along for the first family pictures. 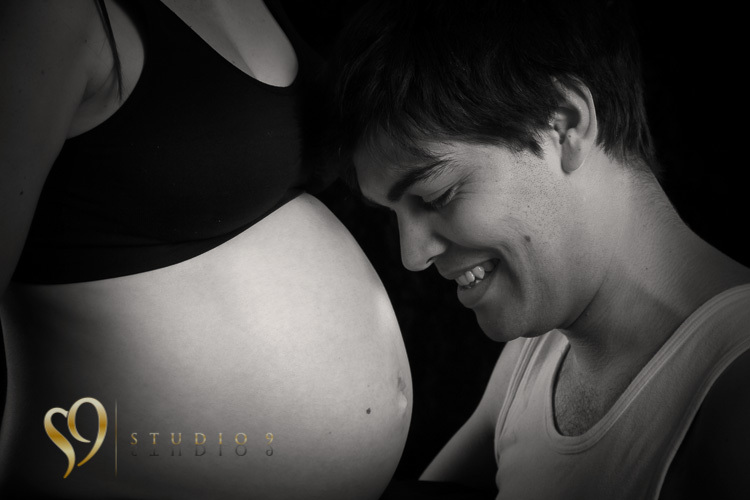 Our Wellington portrait studio is a intimate and personal photographic studio based in Tawa ideal for your special pregnancy photography photo shoot. 1. Solid coloured clothing focus the attention on you and your tummy’s shape, so probably best to avoid large distracting patterns and stripes. 2. Black clothing gives you a slim silhouette, with black leggings making your legs look long and slim. 3. Form-fitting clothes with a little stretch ( rather than loose clothing ) will show your bump and compliment your figure. 4. A top and skirt works well when you want to show your bare belly and choosing silk or cotton fabrics will allow your cloths to drape beautifully around your body. 5. Select underwear with your chosen photo shoot wardrobe in mind, to avoid lines and colours showing through. If you intend on being a bit more revealing, then you might want to buy a few pretty new pieces of lingerie. 6. Don’t forget to accessorize, to personalize your look for unique pregnancy photography. Capture a unique and wonderful time with our Wellington pregnancy photography. 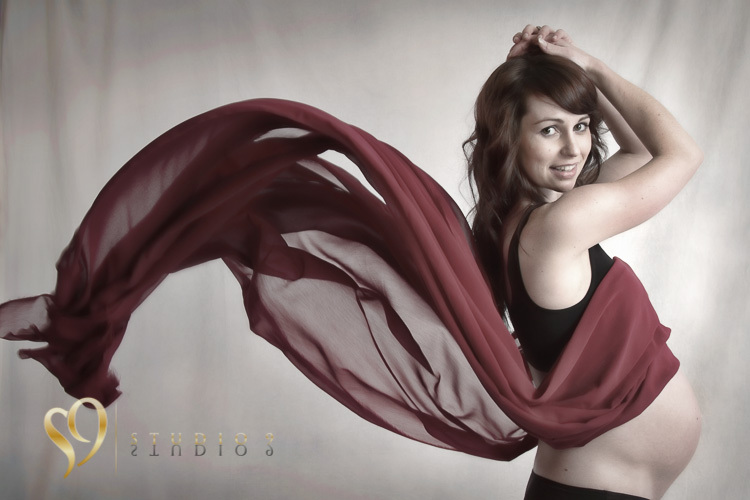 Studio9 – the number one studio for maternity and new born photographers.